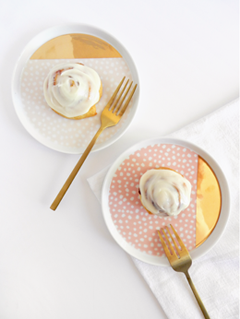 As many of my friends already know, I have a slight attraction to the color gold.... okay, they might describe it as a bit of an infatuation, but either way, I find myself drawn to this metallic hue. 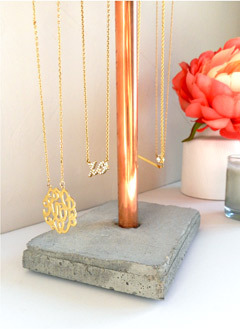 Whether it may be a metallic gold clutch or just a small shimmering detail, I'm completely head-over-heels! 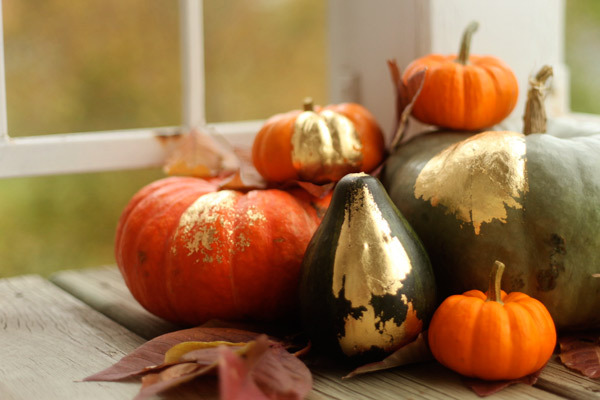 So when I came across an ad featuring pumpkins accented with gold leaf, I knew I had to try it for myself. Although Halloween has come and gone, this is a great way to transition your pumpkins into more festive decor for your Thanksgiving company. 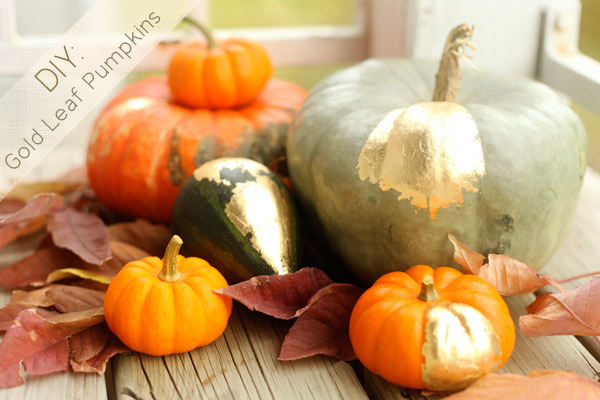 Start by sectioning off a part of the pumpkin you would like to gold leaf with painter's tape. I also used newspaper to cover the rest of the pumpkin to protect it from the spray adhesive. Carefully spray your adhesive on the section of the pumpkin you have taped off. 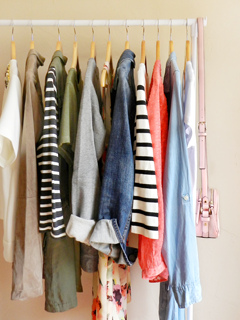 A thin, even coat works best; you don't need much! 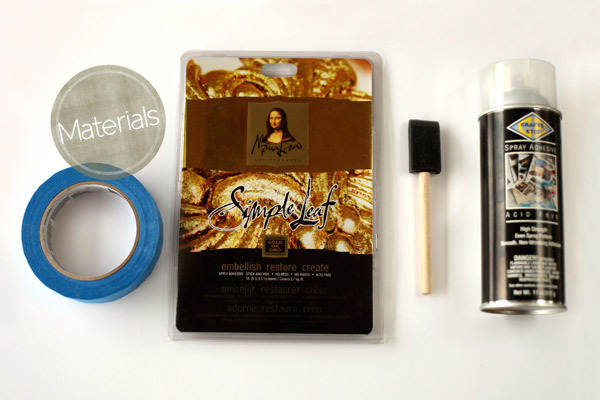 Apply the gold leaf according to the package's directions and gently pat with a soft, dry brush. 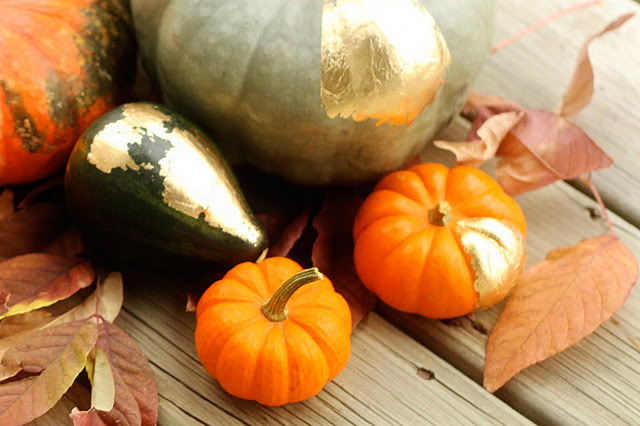 Slowly peel back the waxed paper and softly pat the gold leaf so it adheres to the pumpkin. Repeat as necessary until you have reached the desired affect. 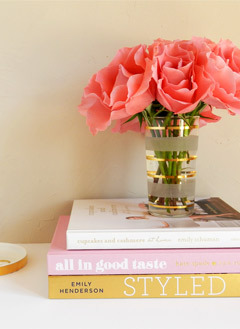 Lastly, find a place to display your new golden fall decor!